1. How to watch Indian Channels in US ? 2. How to get SunTV live streaming , Gemini TV Live streaming ? 3. How to watch ICC World Cup 2011 live streaming ? The most important pass time in US for Indian House wife’s without a TV is definitely Indian TV. The only operator providing Indian Television channels i.e Hindi , Tamil and Telugu is Dish TV in US. But with Dish TV there comes other issues most apartment complexes wont allow you to install a dish or at least put extra levies so it will become inviable for the consumer. There are other options like Free channels which take you into infinite clicking of ads and showing some channel at the end. But still there are some free channels , and low monthly rate channels. There are many legal websites showing reasonable quality Indian channels starting from $10 upwards. While buying a TV box dont buy from these providers instead buy from a common provider like ROKU, and combine with offers from Netflix and you can get a great deal on the entire Package. 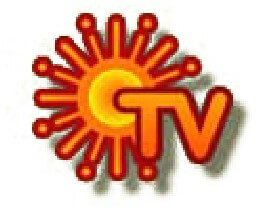 Pingback: Sun TV Live streaming..Watch Sun TV (Tamil TV channel) Live | Dexternights..